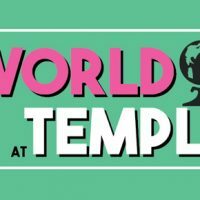 This episode covers Temple’s week-long event, You Are Welcome Here, which highlights international student groups on campus and features food, music, dancing, live performances, and more. They also interview a student who organized the Global Gala portion of the event to get an insight into what the organizers were seeking to accomplish this year. Later, hear from Alexa Ross, a Temple student who was able to go to Pyongyang, North Korea and cover the 2018 Olympics through her NBC internship. Learn about a mock Pakistani wedding that occurred on campus held by the Pakistani Students Association to show how a traditional wedding looks in Pakistan.